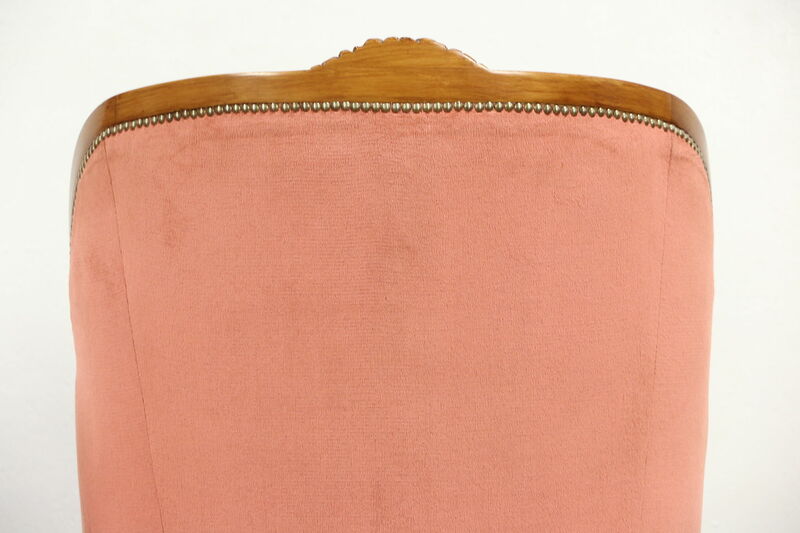 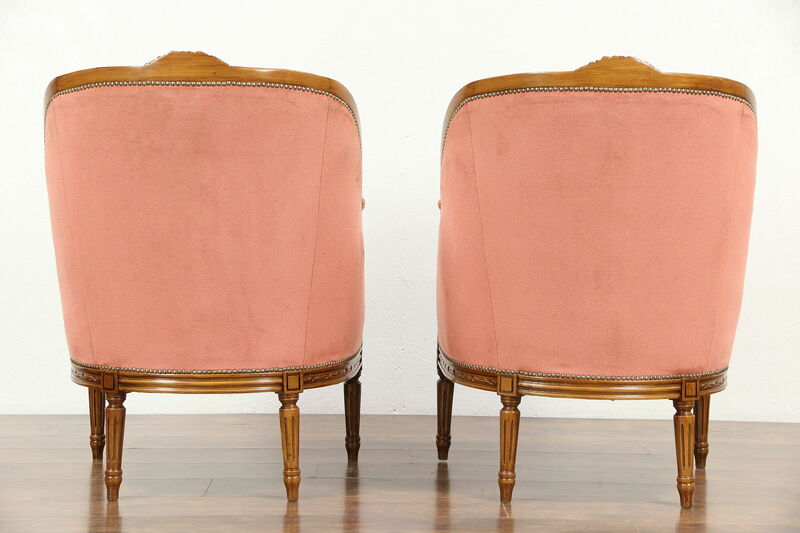 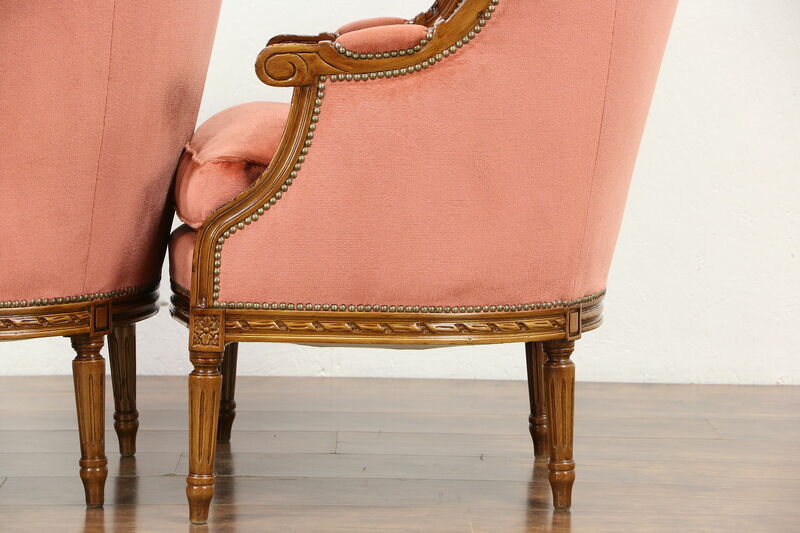 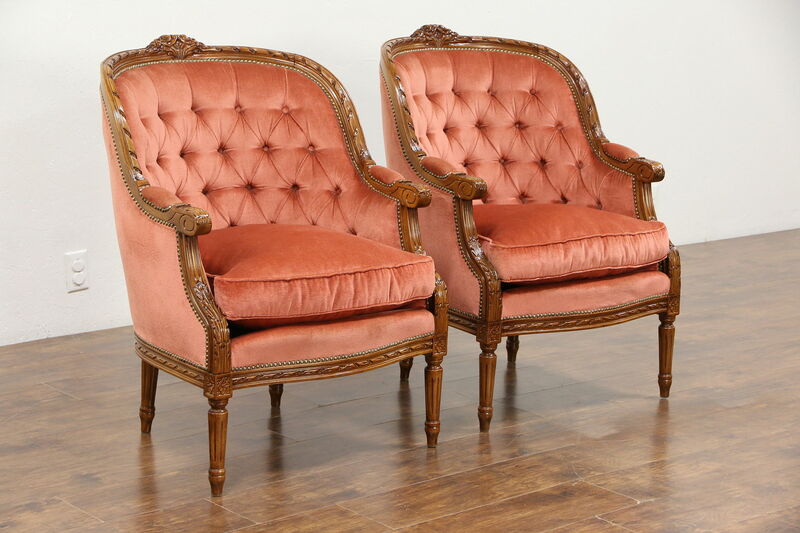 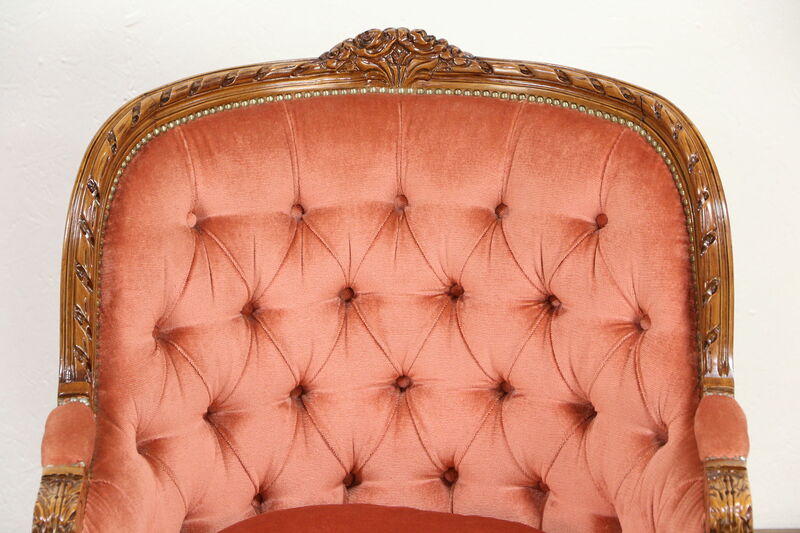 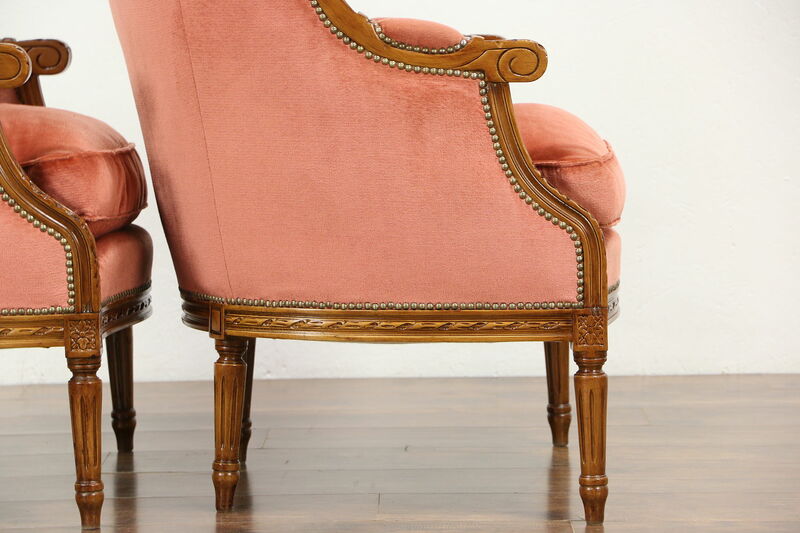 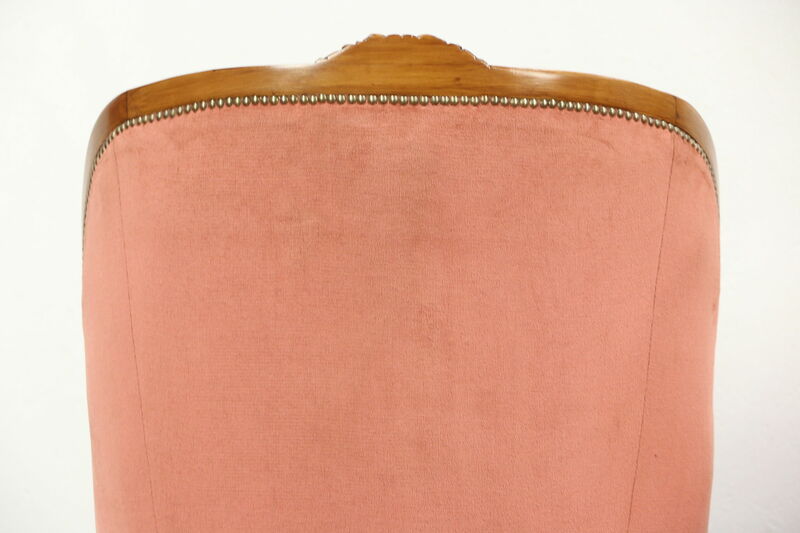 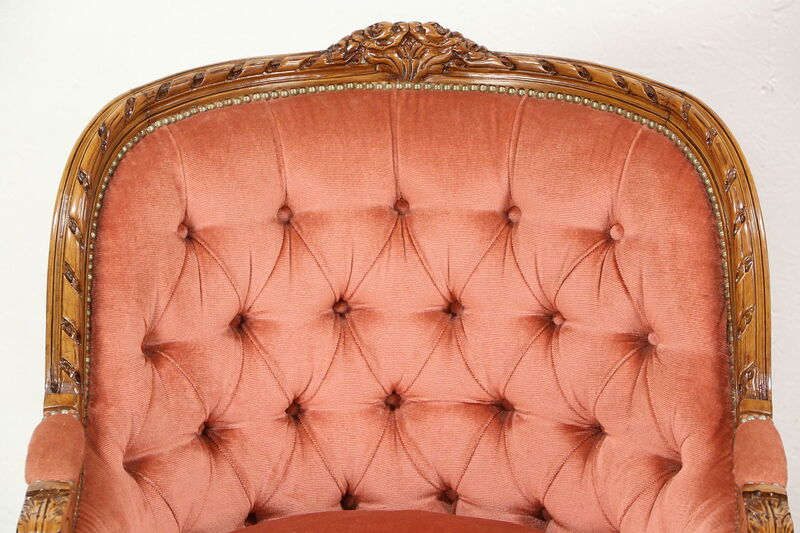 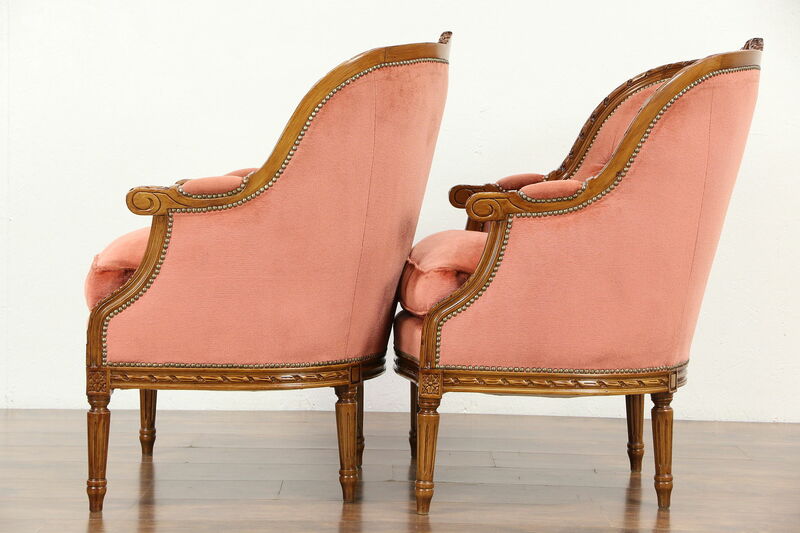 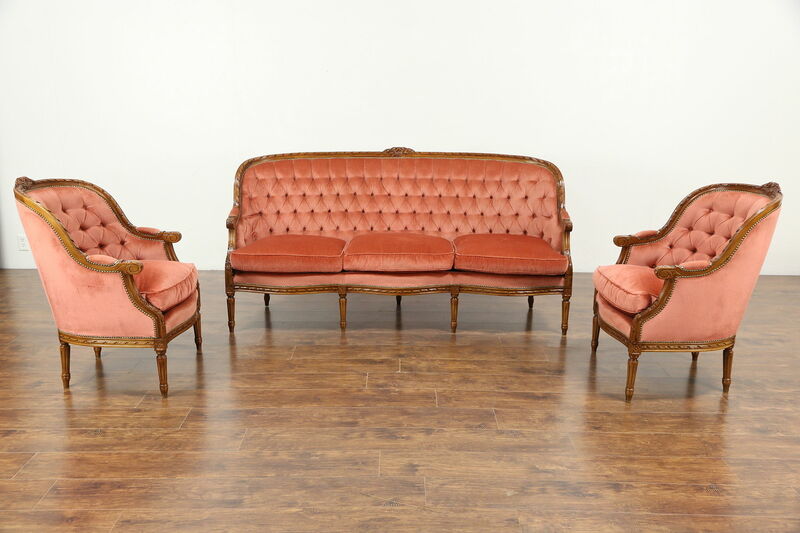 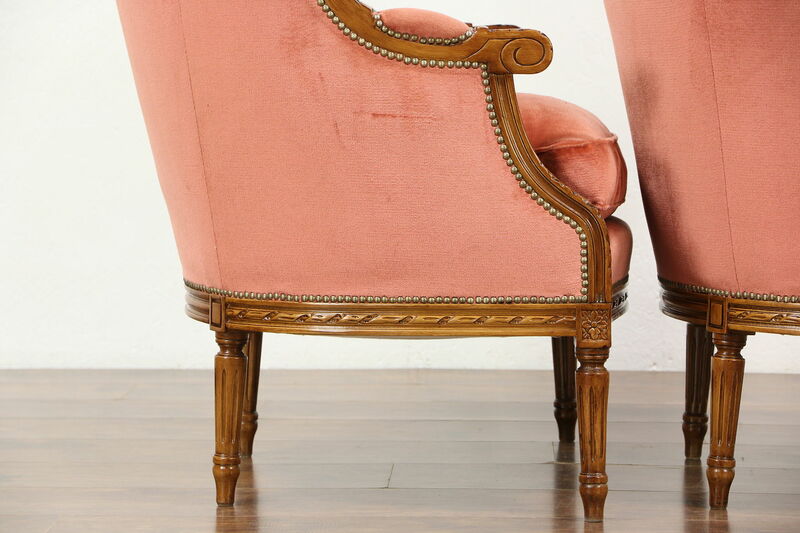 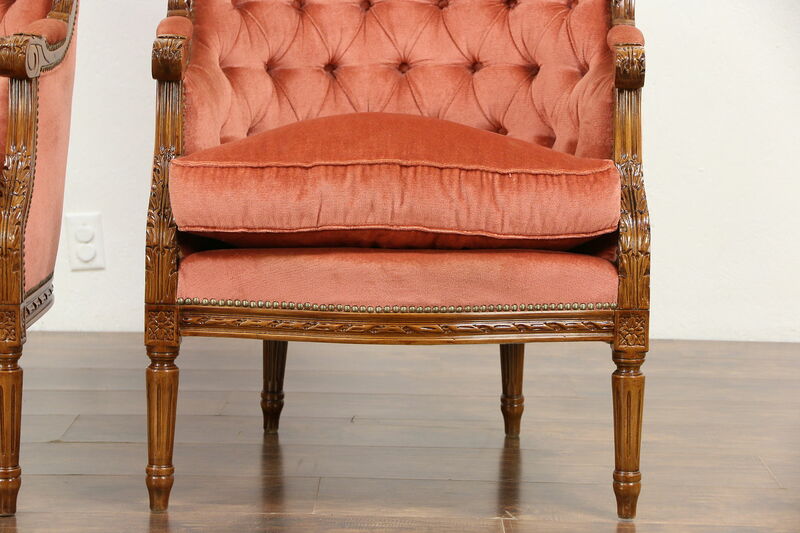 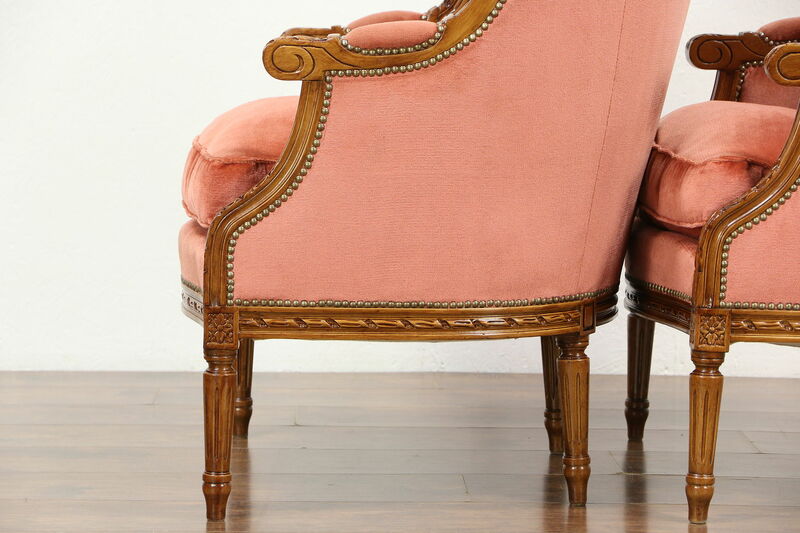 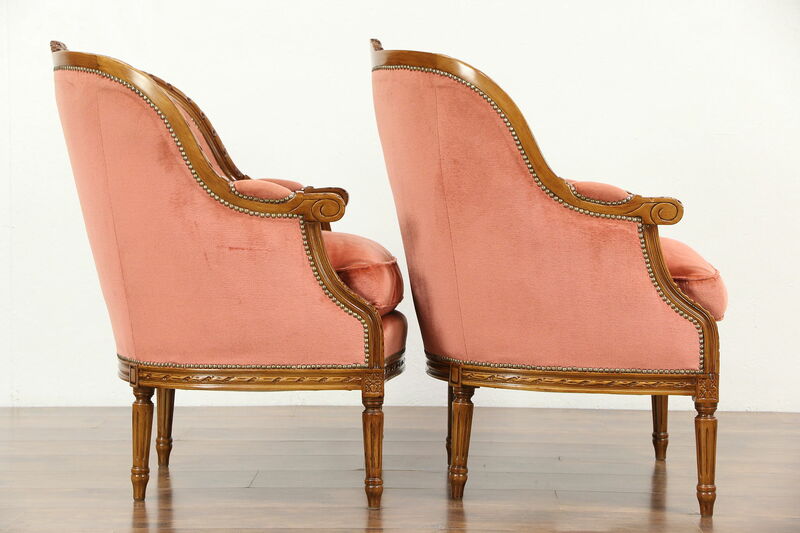 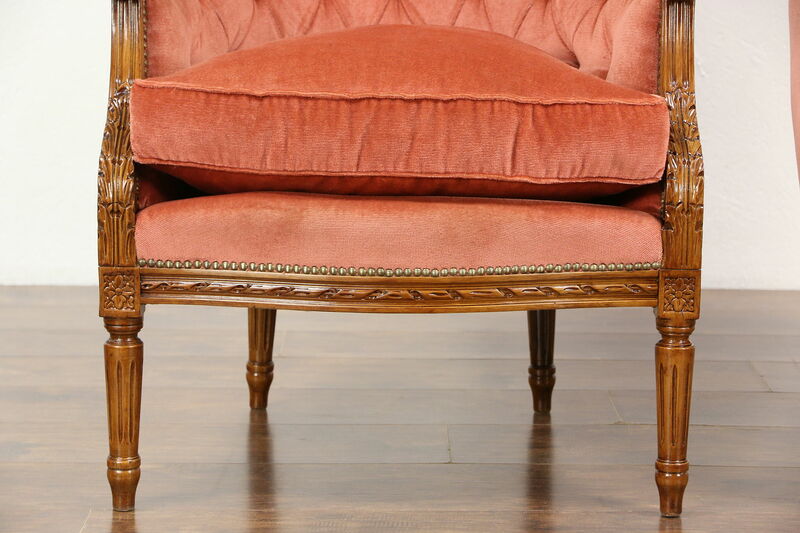 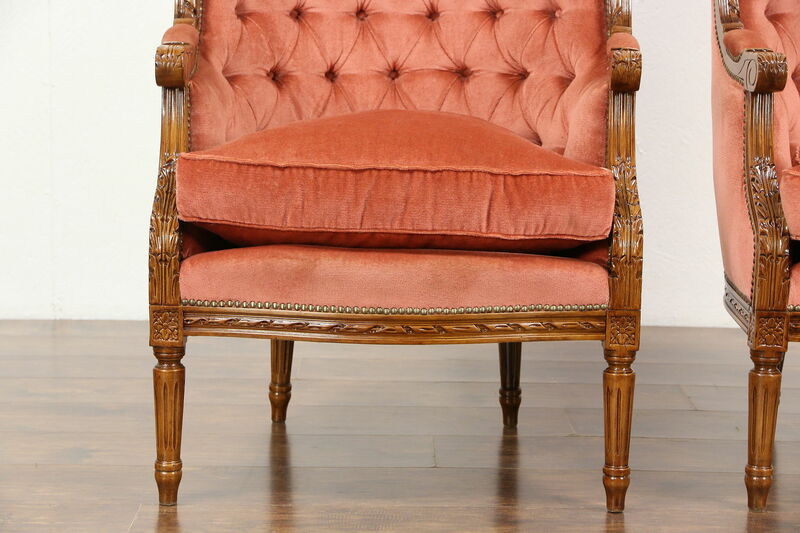 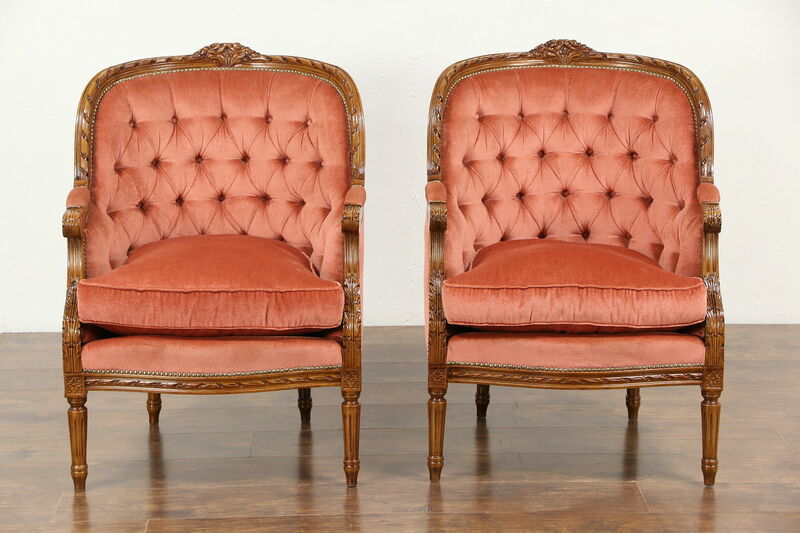 A pair of chairs with velvety upholstery was carved in the Louis XVI manner about 50 years ago in Scandinavia. 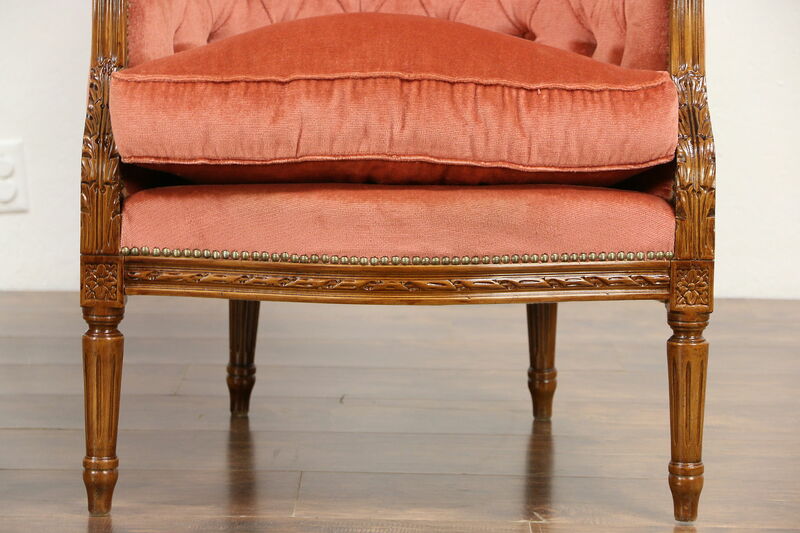 The finely detailed fruitwood frame has an excellent renewed finish. 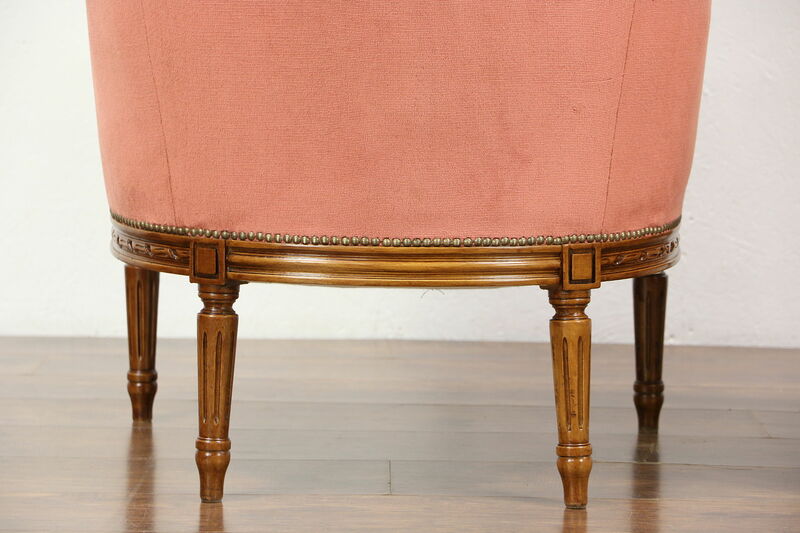 Tufted upholstery with brass nailhead trim shows a little wear on this comfortable vintage furniture, see photos. 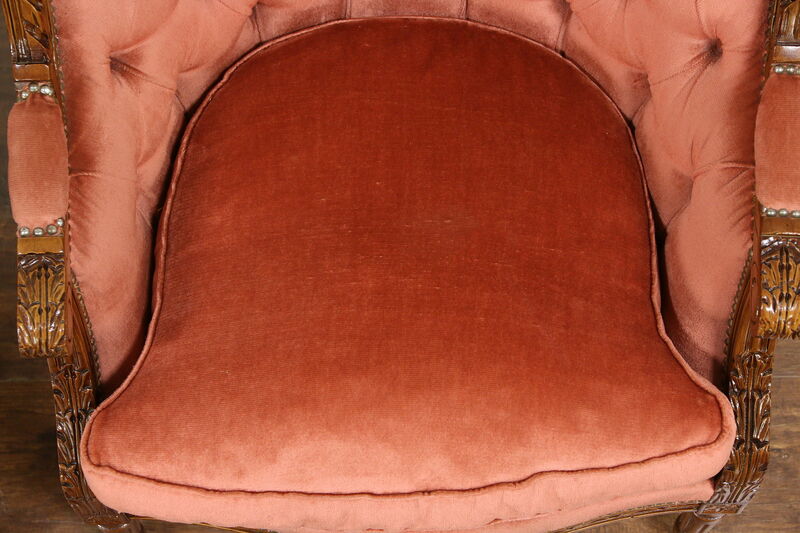 Cushions are zippered. 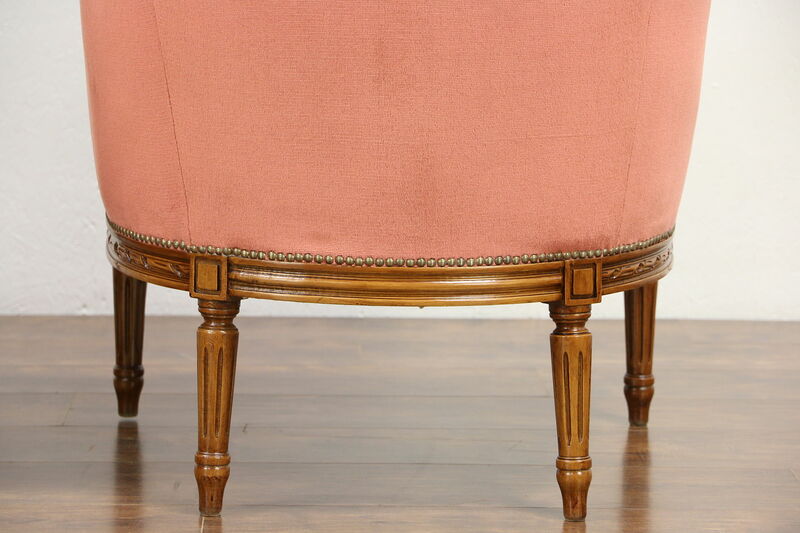 Measurements are 27" wide, 29" deep and 37" tall. 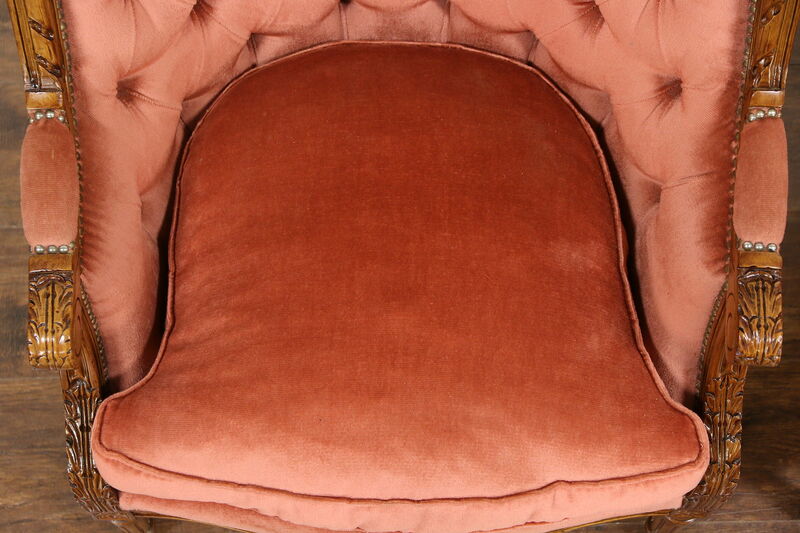 The seat is 20" deep and 19" tall.